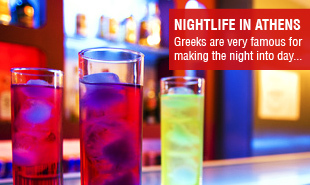 A city like Athens, that bustles with life and activity could only possibly offer countless choices of entertainment for all tastes. It is enough to take a stroll in the city during the night to find out why the capitol of Greece is known as the city that never sleeps. 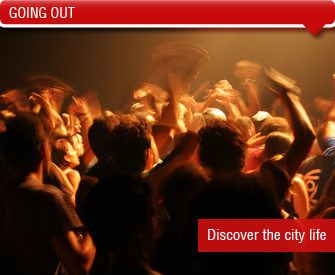 Classical Greek entertainment, clubs, cafeterias, improvised outdoor events at major shopping areas form the puzzle of the typical Athenian night. Greek CuisineMoussaka, Greek salad, rack of lamb and co. The Greek way to get your "OPA" on! 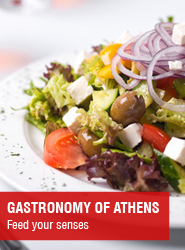 A small but popular Athenian tavern in the center of the city with excellent food and a very friendly atmosphere. Try everything! (Romvis 7 and 16). The best ice cream in the city, anytime of the day until the early morning hours. Try all the flavors without fear. (Taki 21 and Asopou, Psirri).